Most of the time people give excuses for not being able to travel, whilst we should find excuses to travel. Travelling often or more is not as far-fetched as it sounds. It is achievable! If you are not travelling as much as you would like to, it’s because you are not taking advantage of small opportunities to travel. You are unable to travel because you are waiting for your circumstances to change, you are waiting for more time, more money or more freedom. There could be many things that could be hovering around you – your home, family, job, children, so on and so forth. But, you can still travel! You don’t have to have oodles of money to travel. You can travel with limited resources too. Just let travel take priority in your life. If you will keep travel at the back seat, it will rest there forever. And it has got nothing to do with money. You may have a hefty bank balance, but it could go to weddings, house repair, Friday flicks, Salons, medications, social obligations and so many other things. Also read: How Do I Manage To Travel? To travel, you need to find excuses. I am really excited to share with you how to find excuses to travel whenever and wherever possible. No, I am not talking about sponsorships! I am talking about plain and simple invitations by friends and acquaintances living in other cities or countries. It’s a great excuse to plan a vacation if your friend is living in a certain city that you would like to visit. If you are on good terms with your friend, there is a likelihood that he or she would invite you for a stay. When one of my friends was in Cochin (Kerala), she invited me to come over and spend a few days with her, to which I happily obliged. I didn’t think twice and booked my tickets for a 10 day holiday. My friend played a great host. She was sharing an apartment with three other girls and all of them treated me very warmly. Look for opportunities to tag along with people who are going somewhere. Of course, you won’t tag along with any or everybody, but with those who you are comfortable with. You might think that this may be intruding in someone’s business. But that’s not true. On the contrary, if you go along somebody, it could be appreciated as a moral support. When I was in Mumbai for four months, I tagged along with one of my friends for Pune. She had purchased a property in Pune and was going for some legal work. She needed someone to accompany her, while it was just another trip for me! Sometimes your friends may invite you and sometimes you may make them invite you! Yes, if your friend is living in a different city, simply plan a quick trip there. It is a wonderful opportunity to see a new city! I have made three trips to Dehradun just for my friend. Although Dehradun has been my home town too when I was a child, it’s still a refreshing city to visit. My friend and I got to know each other in Delhi. 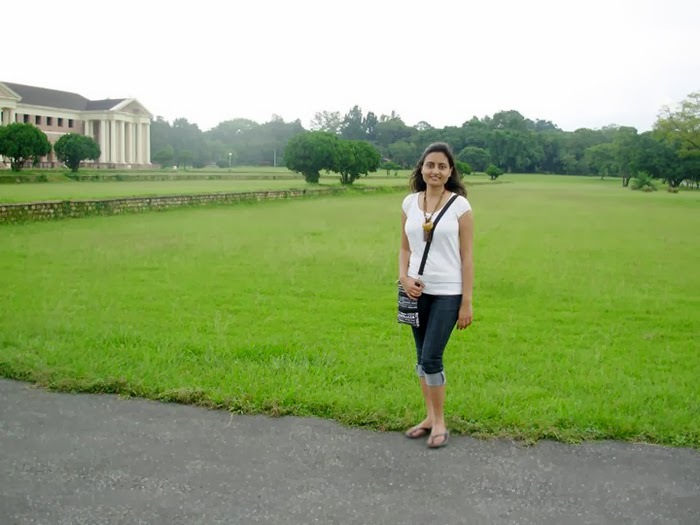 When she moved to Dehradun with her family, it was a great excuse for me to revisit my once-upon-a-time home town. Never belittle quick weekend getaways from your city. Travel is not just about far-flung places. Even if you are travelling to places around your city, it’s a vacation. You will gain something out of it. This monsoon I went to Matheran, a hill station 90 km from Mumbai. I got to experience a new place on my own without spending anything to speak about. Sometimes it’s good to visit your relatives! You may find small, but significant travel opportunities along with it. If someone has been inviting you for a long time, give in to the invitation. Besides spending time with your family and relatives, you can look for getaways around the city. 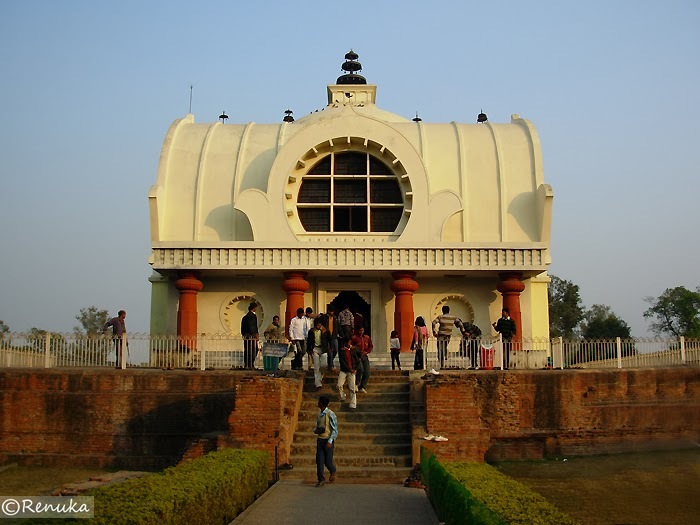 I got to see an unsung, yet a beautiful place like Kushinagar when I visited my relatives in Gorakhpur. Initially, I wasn’t very keen on Gorakhpur, but I was curious to visit Kushinagar. It’s a town 50 km from Gorakhpur, so we planned a quick jaunt by road and it was a great experience. I didn’t know there was a town, which is so underrated, has immense architectural beauty and rustic charms. If your siblings are working in another city or country, there is no better excuse to travel. Well, that does not mean you have to completely rely on your sibling to show you the new city. While you have the comfort of an accommodation, do your own research and go around the city independently. My sister was earlier working and living in Hyderabad, while our family was settled in Delhi. I made a couple of visits to Hyderabad to see her. Later, she got an opportunity to work and live in Sydney (Australia), so that was an excuse for me to visit her there, too! If there is no travel opportunity on your plate, explore your own city. That’s the smartest and the easiest way to travel. It’s not necessary to find adventure only when you are out of station. If you have the eye for it, there is so much to marvel at within your own city as well. 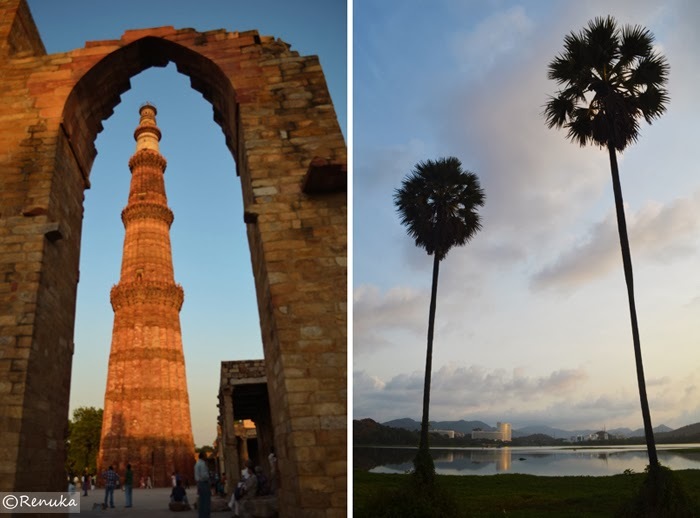 When I was a local in Delhi, I explored it like a tourist – I went around on my own and visited some of the famous world heritage sites, markets, photography exhibitions and art galleries. Likewise, I explored Mumbai while I was there. Although I went to Mumbai for work, I took it as a slow travel opportunity and savoured the city. If you really want to travel, there is no dearth of excuses to travel. You have to look for opportunities to take vacations – big or small. Your excuses ‘not to travel’ will turn into regrets later. So start finding excuses to travel! Would you like to travel often? What are you willing to do to travel whenever possible? Enjoyed this post? Subscribe to receive ‘new posts’ update straight in your inbox! Wonderful post, Renuka! Indeed, you are a great traveler and have nice experience.. all destination are amazing which described here. 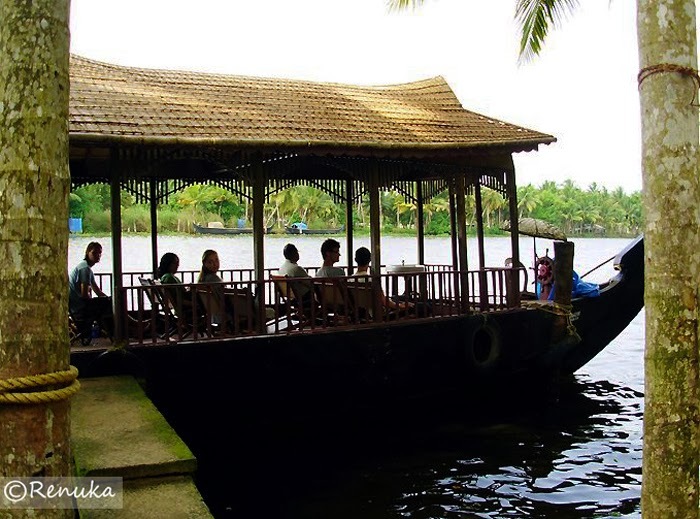 specially love the Kerala. Great opportunities to make a travel… often we tend to ignore them. Amazing post. I feels like you have thrown a challenge towards me because i always have an excuse i don't have enough money to travel the world. Thanks for challenging me, i will change my perspective. Thanks Ercotravels 🙂 I was fortunate to find all great destinations to travel to! Thanks Indrani 🙂 Yeah, that's my point, people ignore such easy travel excuses. Thanks Jeff 🙂 I'm glad to hear that! Remember excuses will turn into regrets later! So travel! Hey Renuka! Nice blog and one of the simple and wonderful post i read in recent times. we must travel as much as we like. So, no excuses. Lovely snapshots. Thanks Bharati 🙂 Yeah, we must find excuses to travel as much as possible. Yeah Vira, it's good to be motivated to travel whenever possible! Wonderful post. People often find excuses not to travel instead of for travelling. Thanks Kiran 🙂 Yeah, people find excuses of not traveling enough, while there are so many excuses to travel! Just take up all the excuses for the love of travel! Thanks Anita 🙂 That's a great excuse 🙂 But you can travel in between, too and consider holiday membership trip like a bonus. Wonderful post and lovely tips. Never miss out on an opportunity to travel! Thanks Niranjan 🙂 Yeah, never miss out on a travel opportunity! Thanks aliasgarmukhtiar 🙂 I hope the post inspired you to travel more! Thanks! 🙂 Yeah I know it's a creative thought, but it has come from people who procrastinate their travel dreams. Thanks Amit 🙂 Hope you found it to be a source of inspiration to travel more! I am guilty of finding reasons/excuses to not travel… in my defence, all you great travel bloggers post beautiful pictures & stories for me, then why should I even bother to rise from the couch…! "Your excuses ‘not to travel’ will turn into regrets later. So start finding excuses to travel! " I tell this to my friend like always and yet he doesnt listen. I am planning to drug him, put him in a travel bag and take him with me. That is the only way I see now. May be I will share you post with him tto and I hope he will find my point in it somewhere and encounter enlightenment. Thanks Rupertt 🙂 I'm so glad that you found this post nice. 🙂 Yeah, please do share the post with your friend, and hope he travels with you! Attend as many marriages as possible ! You travel to a city to fulfill one of your social commitments only to find yourself with a lot of time nothing much to do ! Thanks OurJaipur.com 🙂 Glad you liked it. Travel more! Thanks Pallavi for stopping by 🙂 And thanks for following, too! It's nice to meet a fellow traveler! a very simple and inspiring posts… I feel most of us are in the same boat, I can relate to almost all of the excuses that you gave and also can relate to almost all the opportunities that come our way and we miss it because of the so called 'excuses'… very well written! Good post! Need to learn something from this 🙂 Thanks for sharing!! Great tips – I keep saying to myself I am going to travel to places closer to where I live. I just never do it. This is a good reminder to do it: there are so many amazing places to visit around the whole world. You don't have to travel hours and hours away. Go on short trips – love this idea. And love using the idea of visiting friends – I really need to do that! Great post! Thanks Jyotsna 🙂 I'm glad people are realizing the fact that the reasons they give for not traveling are just excuses! Thanks Rochit 🙂 I'm glad you are inspired to travel often! Thanks Marsha 🙂 I'm glad people found this post inspiring, because it's true that we can find excuses to travel often. Awesome Post! It inspires you to make your travel plans and explore places !! Very well written -Simple and Nice! Thanks Bhawna 🙂 I'm glad that the post inspires to travel. Thanks Rohit 🙂 Glad to hear that! Nice post and travel story ! Now i am going to north india tours ! I have read most of your blogs and frankly speaking those are amazing. Really inspired me a lot to travel solo. Great Blog shared by you Renuka, Your blogs are elegant as you. Yeah 🙂 Thank you, Suhasini! Glad you enjoyed the post! Taking time off to travel seems hard and excuses are a perfect way to turn your travelmodeon! Absolutely! As I wrote, it’s all about priorities. Thank you, guys! 🙂 Yeah, exploring your own city is the easiest and the most affordable travel.